How Chiropractic Can Benefit Athletes Who Suffer From Mild Traumatic Brain Injuries – Coberly Chiropractic, Inc.
Every year an estimated 3.8 million people in the United states sustain mild traumatic brain injuries (MTBI) or concussions. Many of these injuries are due to sports related activities, work related injuries, motor vehicle accidents, and military operations. It is also estimated that as many as 50 percent of MTBIs are never reported because the patient does not seek medical attention. This makes it difficult to get a solid number on how many there actually are, but it is a prevalent condition. A patient does not have to actually hit their head to sustain a MTBI. It can be caused by whiplash even though the person never hit their head. The reason for this lies in the construction of the brain and skull. The brain is very soft, some experts compare the texture to that of soft butter. The skull is designed to protect the brain, and it is extremely hard. If you run your hand over your head, you may feel some lumps and bumps, it may not feel completely even, but the surface will be smooth. The same cannot be said for the inside of the skull. There are a number of boney ridges on the inside that are quite sharp. The design is intended to keep the brain in place. When the head is hit or is jolted hard enough it caused the brain to shift inside of the skull, coming into contact with those boney ridges – sometimes forcefully. This can cause damage and the result in a brain injury. The harder the jolt, the more serious the injury may be. Part of the problem with MTBI is that the symptoms may not show up immediately. They could emerge weeks or even months after the incident making it unlikely that the symptoms will be tracked back and connected to it. 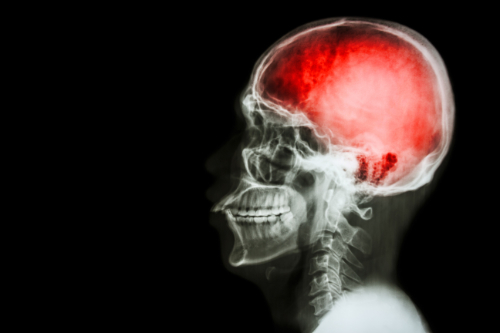 Often, MTBI is called a “silent epidemic” because the symptoms that it causes are usually not visible and may not be immediately connected to the injury. Depression, anxiety, angry outbursts, and impaired memory are more likely to be considered a psychiatric issue instead of a neurological one. The symptoms can be debilitating just the same. Chiropractors routinely treat patients with MTBI. When they are presented with a patient that they know has sustained a head injury, or if they suspect a brain injury based on certain symptoms, they use the Sport Concussion Assessment Tool 2 (SCAT2) to determine the severity. The SCAT2 helps the chiropractor create evaluate the physical signs, symptoms, sideline assessment using Maddocks score, Glasgow Coma Scale, coordination, balance, and cognitive assessment. A head injury usually involves a neck injury as well. The chiropractor may use a variety of techniques to treat the patient, including spinal manipulation, massage, and bracing. The patient will also be advised to avoid anti-inflammatory medication, aspirin, alcohol, and sleep aids, using acetaminophen for pain as needed. 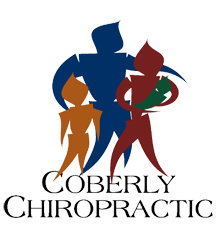 If the patient needs to see another doctor or specialist, the chiropractor will refer them.